Dam Square. Dam Square might just be the most famous sight in Amsterdam, so a can’t miss in the top 10 sights. It is one of the biggest squares and surrounded by multiple classic Amsterdam landmarks. First is the Royal Palace. This historical building is littered with architectural details and a top 10 sight in itself. Next is the Nieuwe Kerk (New Church). Don’t let the name fool you, it is one of the oldest churches in Amsterdam. Note that there are also great exhibitions in the New Church. Obviously one of the most noteworthy landmarks on Dam Square is the National Monument. This large white pillar is where World War II is commemorated every year. 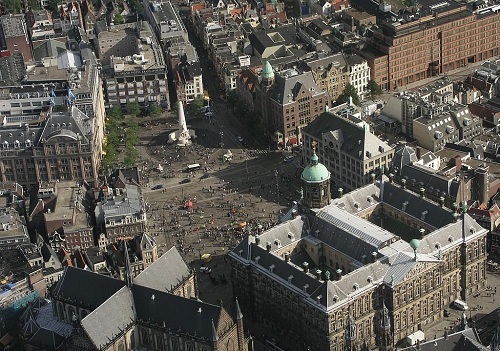 If there is one dominant square in Dutch history, it is Dam Square. More info here. 7 Bridges. This is the top sight during canal tours, and the only perfect view is from a canal boat. 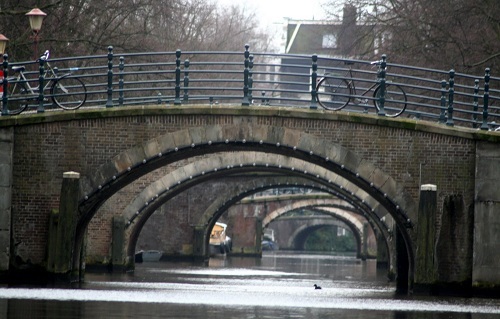 When you ride the boat on Herengracht, you have the unique view of seven bridges in one sighting. The 7 bridges radiate a deep medieval atmosphere. There are crossing the Reguliersgracht near Rembrandplein. Perfect for snapshots and unique in the world, it makes this one of the top 10 sights. Zuiderkerk/Groenburgwal. This is perhaps the most snapped picture in Amsterdam. When you walk from the town hall through the small alleys to the Rokin, on the second bridge you have to look to your right. This is where the Zuiderkerk (Southern Church) basks in all its glory. Because it is symmetrically at the end of the Groenburgwal (a beautiful canal) the picture is just perfect. Definitely one of the top 10 sights in Amsterdam. 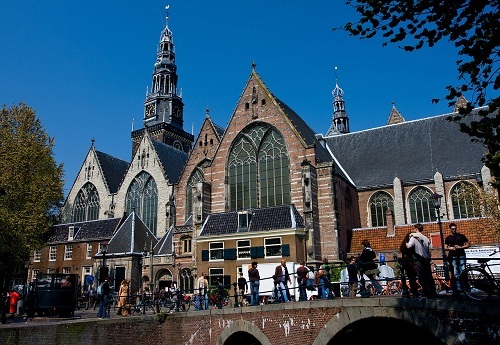 Get more info on the Zuiderkerk here (Dutch). Magere Brug. 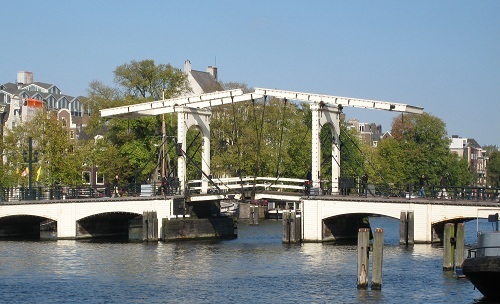 De Magere Brug (“Skinny Bridge”) is probably the most famous bridge over the Amstel river. It is named Skinny Bridge because the old version used to be so narrow that it was hard for two pedestrians to pass eachother. Currently the bridge is known for its white painted wood and classy lightning at night. It is used by cyclists only. This famous bridge is featured in many international movies, notably the James Bond film Diamonds Are Forever. One of the top 10 sights both for historical as well as esthetic value. 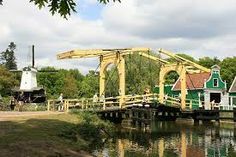 More info on the Magere Brug here. Museumplein. Obiously the main purpose of this square is to visit the various museums located on it. 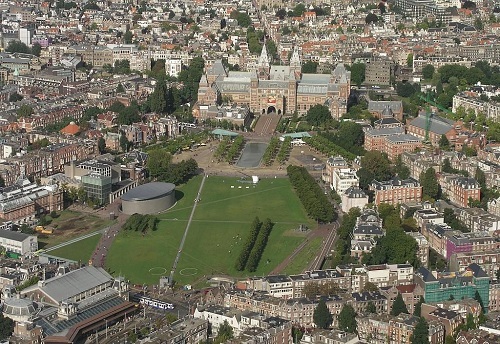 But Museumplein is one of the top 10 sights in its own right too. It is the biggest square in Amsterdam. 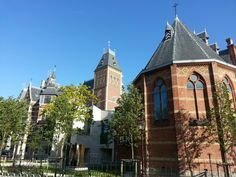 The buildings of the museums vary from modern (for example the new wing of the Stedelijk Museum nicknamed “Bathtub”) to historical (for example the Rijksmuseum). Another very notable building is the Concertgebouw, the national concert hall. Lined up on the eastside of the museumplein are various big mansions turned office buildings. Get more info on Museumplein here. Begijnhof. One of the most amazing places in Amsterdam is the Begijnhof. It was built around 1390 and is the oldest inner court in Amsterdam. It is surrounded by historical medieval buildings. The fact that it’s so quiet and peaceful adds to the experience. 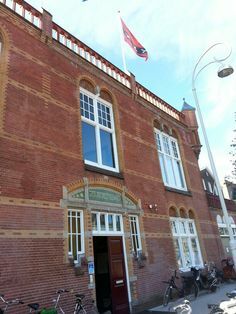 Begijnhof is located between Spui and Kalverstraat and next to the Amsterdam Museum. Take a trip back in times at the Amsterdam Begijnhof. More info on Begijnhof here. Skyline views There are a couple of places where you can see the Amsterdam skyline. A good option is to have lunch in Cafe Blue in the Kalvertoren. They offer great food and a great view. Additionally to the skyline you can view the flower market from above. 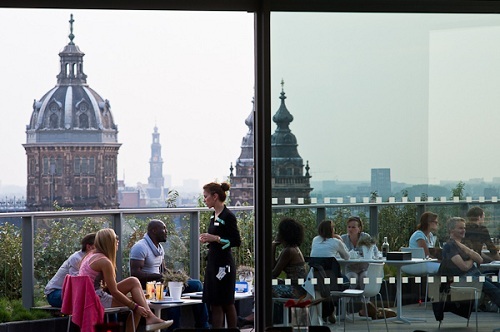 Another good place is the Sky Loung in the DoubleTree Hotel next to Central Station. This is a more classy place which is also open at night. Last but not least the terrace of the NEMO offers stunning views of Amsterdam’s skyline. Westerkerk. 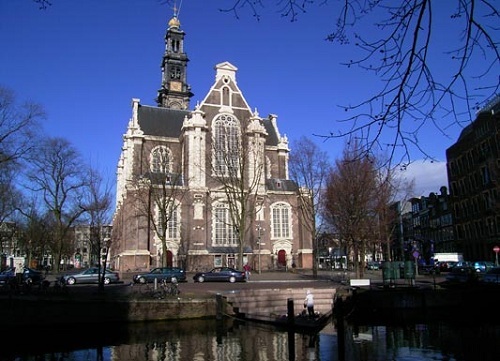 Westerkerk (“Western Church”) is the most prestigious and impressive churches in Amsterdam. It has the highest church tower in Amsterdam (85 meters) and is located between the Prinsengracht and the Keizersgracht next to Anne Frank House. The Westerkerk was built in Dutch Rennaisance style in 1631. A lot of singers from Amsterdam used the Westerkerk as inspiration. It is possible to climb up the church tower too. Get more info on the Westerkerk here. 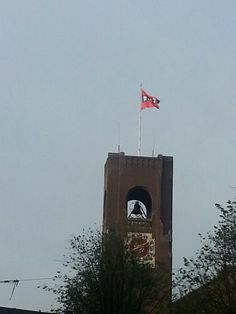 Riekermolen. Probably the most visited windmill in Amsterdam. This windmill was built in 1636. 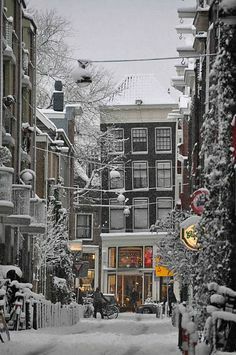 It is located in the South side of Amsterdam, on the banks of the river Amstel. Next to the statue is a statue of Rembrandt which was put there to honor his 300th birthday. 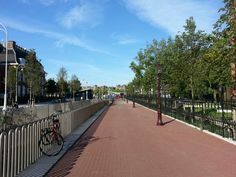 The entrance of the Amstelpark is nearby the Riekermolen. Amstel Park is could be one of the top 10 sights itself. It is the most beautiful park of Amsterdam. 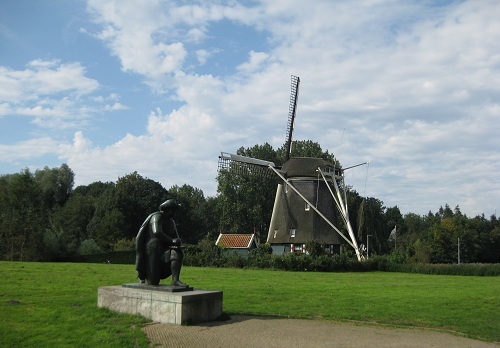 Get more info on the Riekermolen here (Dutch). Oude Kerk. The Oude Kerk (“Old Church”) is a protestant church located in the middle of the Red Light District. 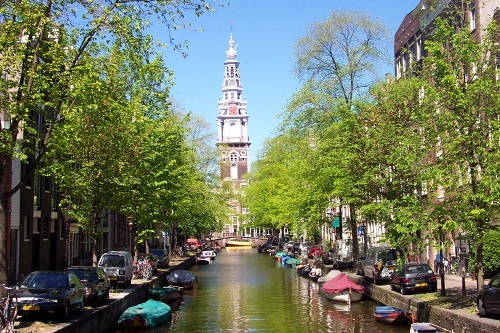 Its majestic octagonal bell tower make this one of the most beautiful churches in Amsterdam. It is the oldest building in Amsterdam. It is also one of the top 10 sights because it regularly has exhibition such as the World Press Photo. The Oude Kerk is located on the Oudekerksplein right in the middle of the action. A must see. 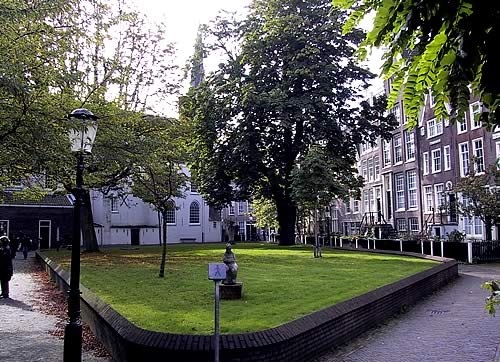 Get more info on the Oude Kerk here.